Italian OEM LoudSpeakers manufacturer. FAITAL has specialized in the design and manufacture of loudspeakers since its formation in 1958. With a total of 40% of the Italian market in the early 1960's Faital has grown to become one of the largest manufacturers of loudspeakers in Europe. The company has always continued to focus on its technical and industrial skills. Currently Faital has 8 manufacturing plants worldwide and 16 automated production lines with full quality control. LEAFF collaborates with FAITAL to the Sound Quality Project: A set of tools for obtaining both objective and subjective evaluations of car audio systems using a single session of recording with a mannequin in the cockpit, has been developed. 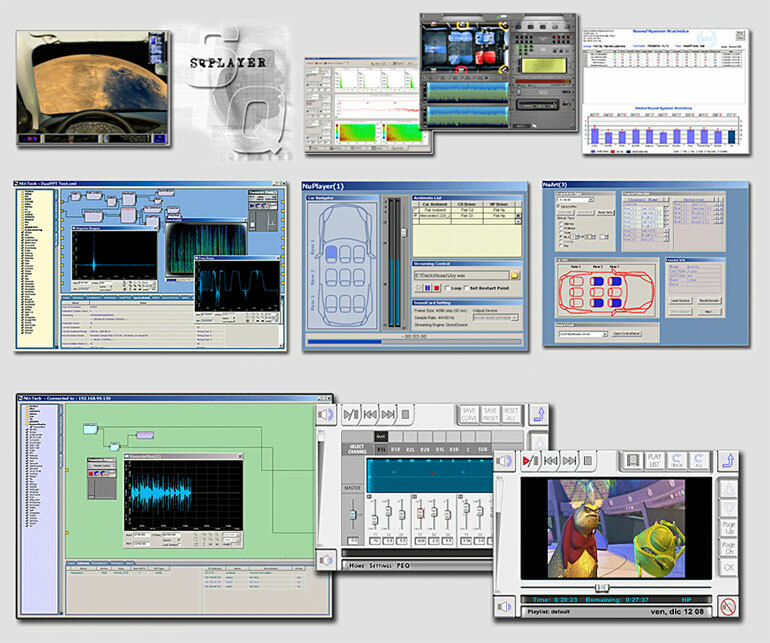 The work done during these years in SoundQuality and audio rendering is testified by the pubblication on the IEEE Transactions on Industrial Electronics - June 2006 "An Industry-Oriented Software-based System for Quality Evaluation of Vehicle Audio Environments" The project is still active and several innovative developments are under way.